Finn Valley Airfield is set in a rural area in North West Ireland. We are situated 1 mile south of the village of Convoy and 7 mile south of the provincial town of Letterkenny. 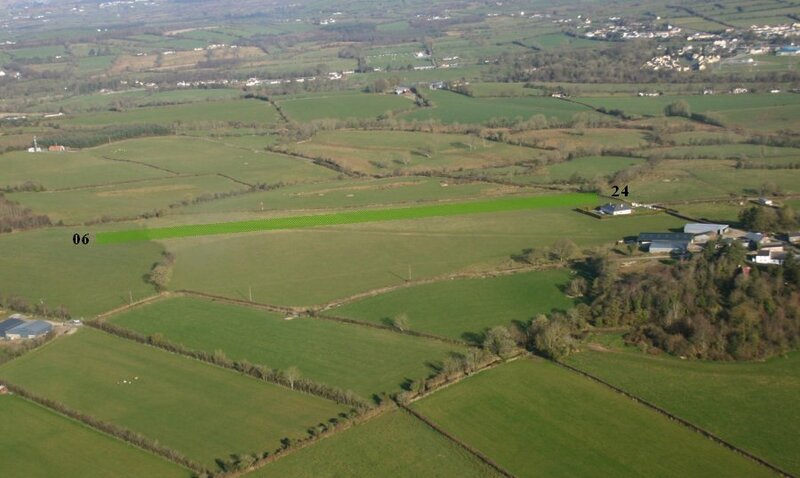 Finn Valley airfield is set in un-controlled class G airspace and the majority of the surrounding area is on-obstructed class G also. Finn Valley Flying club is based at the airfield and trace its roots right back to the early 1980's when a group of like minded pilots/enthusiasts set the club up and bought an aircraft. Today the club is one of the biggest private flying clubs in Ireland and have dedicated facilities on site. Please browse this site for further information and what we can offer, from obtaining your private pilots license to fly-out's all over Ireland and the UK and beyond. We prefer if you obtain PPR by telephone please before flying in and we are open to any pilots who need to divert here for any reason. Visitors from northern Ireland or the UK need to file a flight plan & Irish general aviation report form if visiting us. We are a none designated airfield & a flight plan is mandatory to cross the FIR boundary into southern Ireland. This is no big issue and we can advise you on what is required & all required forms are available from the side menu. Donegal is a designated area of outstanding natural beauty and provides some of the most spectacular scenery in the whole country. Many visiting pilots remark that it is one of the most beautiful areas to fly in.If you view the "Airfield Information" tab you can find the co-ordinates for the airfield, the runway dimensions, runway orientation, and the circuit pattern we advise everyone to use. The A/G radio frequency (not always manned) is also listed there.